Are you tired of the same old MCs? They preach brotherhood and an authentic MC experience, but do not deliver either? Are you tired of waiting on the sidelines waiting for an opportunity as your club is only a return fire club? Well boy do we have a club for you! 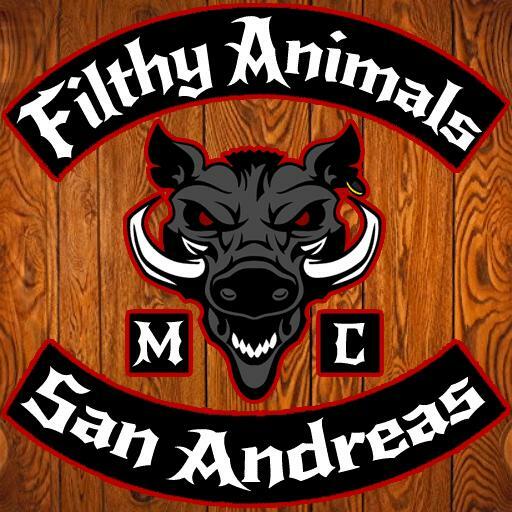 Filthy Animals is a quickly growing MC with its eyes set on long term goals to become a large influence on the MC community. We were a traditional 1% MC with officers who have combined 3 years’ experience in the MC community. We are a tight knit group that wants to build a fun but aggressive MC and are currently looking for new members.